Spend more time running your business, and less time, maintaining planning processes. Oracle Planning and Budgeting Cloud Service (PBCS) is a perfect fit for both corporate finance as well as operational planners around the enterprise (e.g. sales, marketing, HR, IT, and the lines of business, etc.). It empowers operational planners with flexibility, scalability and the ownership to plan the way they want, while still offering the transparency and control required for corporate finance. Oracle Enterprise Planning and Budgeting Cloud Service strikes the ideal balance between providing built-in best practices while maintaining high configurability. It’s the best of both worlds in a single solution. Some planning tools strive for simplicity. Some planning tools strive for simplicity. Others strive for flexibility. This solution accomplishes both by providing an innovative configuration framework that can be used out-of-the-box or further enriched for your unique requirements — all while maintaining the ease and upgradability of a cloud-based solution. The planning framework provides immediate value by getting you up and running quickly with a targeted planning process. Then, it allows you to enhance and mature your planning processes over time. Instead, of long implementations, you can establish quick success and mature your planning process in a more agile manner – building on the success of each new process that you enable. 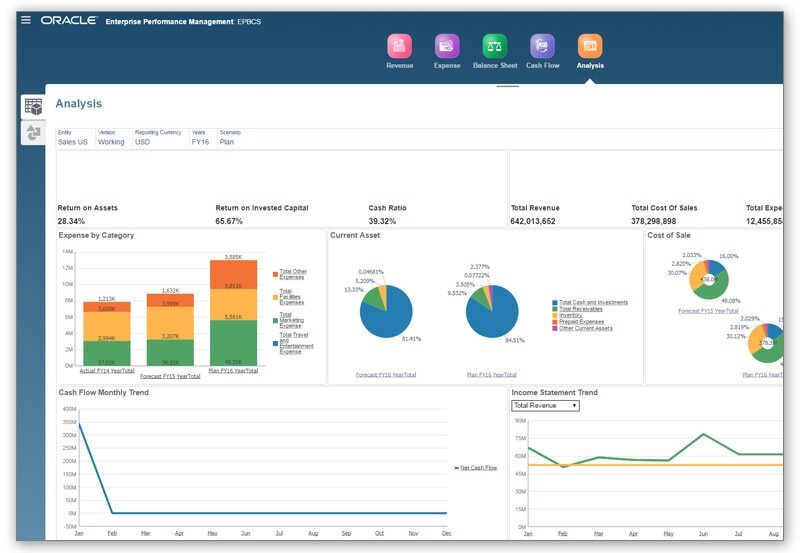 Oracle Planning and Budgeting Cloud Service enables organizations of all sizes to quickly adopt world-class planning and budgeting applications with no CAPEX infrastructure investments, driving world-class functionality beyond finance across the enterprise, with flexible deployment options and virtually no learning curve. This overview shows the new Financials business process in Enterprise Planning and Budgeting Cloud. 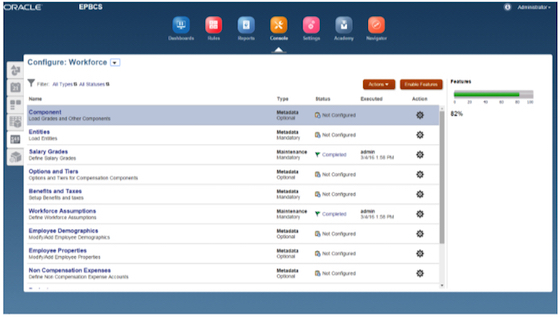 Planning and Budgeting Cloud Service is a flexible planning application based on Oracle Hyperion Planning. It supports enterprise-wide planning, budgeting and forecasting in a cloud-based deployment model. Let us help you take your planning, budgeting and forecasting to the next level. SkyBridge provides an accelerated route to deploy your Cloud Planning application. Our program incorporates a standard methodology that in a matter of weeks enables migration of existing applications or building new ones through our standard templates.